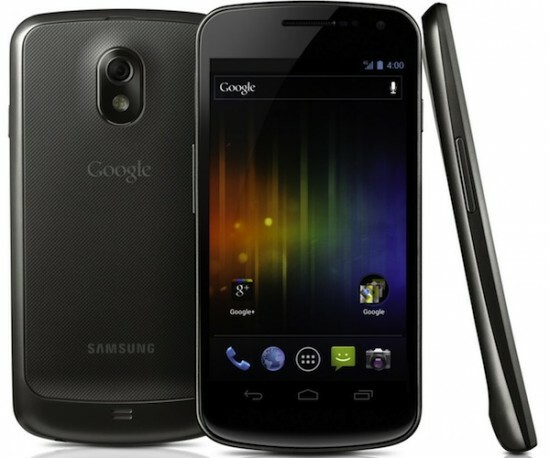 Google Gives Details On Galaxy Nexus Challenge – 10 Chances In 10 Days To Win Your Very Own! Contests are always fun way to get people hyped and I just want to wish all of our readers the best of luck! Make sure you read up on the full list of rules via Google’s as they reveal the exact times and dates of the contest. UPDATE: I’ve gone ahead and included the full rules for you guys below. If you look closely, you’ll notice the date the contest ends is on November 21st and ARV pricing is set at $500. Interesting indeed.. The Galaxy Nexus Challenge (the "Contest") is a skill contest where participants must submit via Twitter solutions to puzzles, photo challenges and essay questions ("Solutions") to win prizes. The Solutions will be evaluated by judges, who will choose the daily winning entries in accordance with these Official Rules. The prize(s) will be awarded to participant(s) whose solution is evaluated as having the highest score in the judging criteria. See below for the complete details. BINDING AGREEMENT: In order to enter the Contest, you must agree to these Official Rules ("Rules"). Therefore, please read these Rules prior to entry to ensure you understand and agree. You agree that submission of an entry in the Contest constitutes agreement to these Rules. You may not submit an entry to the Contest and are not eligible to receive the prizes described in these Rules unless you agree to these Rules. These Rules form a binding legal agreement between you and Google with respect to the Contest. immediate families (parents, siblings, children, spouses, and life partners of each, regardless of where they live) and members of the households (whether related or not) of such employees, officers and directors are ineligible to participate in this Contest. Sponsor reserves the right to verify eligibility and to adjudicate on any dispute at any time. If you are entering as part of a company or on behalf of your employer, these rules are binding on you, individually, and/or your employer. If you are acting within the scope of your employment, as an employee, contractor, or agent of another party, you warrant that such party has full knowledge of your actions and has consented thereto, including your potential receipt of a prize. You further warrant that your actions do not violate your employers or companys policies and procedures. CONTEST PERIOD: The Contest begins at 12:00:00 A.M. Pacific Time (PT) Zone in the United States on November 12, 2011 and ends at 11:59:59 P.M. PT on November 21, 2011, ("Contest Period"). HOW TO ENTER: NO PURCHASE NECESSARY TO ENTER OR WIN. To enter the Contest, visit the Google Nexus Twitter page, twitter.com/googlenexus ("Contest Site") during the Contest Period and review the essay question or puzzle of the day. To submit to a Solution, you should reply to the Google Nexus puzzle, photo or essay question tweet, and you must include the #googlenexus reference. Where applicable, the Solution must meet the "Solution Requirements," described below. LIMIT ONE (1) ENTRY PER PERSON PER DAY. Only your first entry will be considered. Subsequent entries will be disqualified, and at Sponsors discretion, entrants who submit multiple, duplicate entries may be disqualified from the Contest entirely. All entries must be received by 11:59 p.m. (PT) on November 21, 2011. Entries for Puzzle Challenges should be submitted as quickly as possible as their timeliness effects their ability to win, see Judging for more details. Entries are void if they are in whole or part illegible, incomplete, damaged, altered, counterfeit, obtained through fraud, or late. All entries will be deemed made by the authorized account holder of the Twitter account submitted at the time of entry, and the potential winner may be required to show proof of being the authorized account holder for that email address. The “authorized account holder” is the natural person assigned to Twitter account by Twitter. person, or otherwise does not comply with the theme and spirit of the Contest. or regulations in any state where Solution is created. use any content, material or element that is owned by a third party or entity. privacy or intellectual property rights. (f) It must be in English. Solution that does not meet the Solution Requirements. question to determine the winner. highest total score will be chosen as the potential winner. will be contacted within one week from when their Solution is submitted. two weeks after the end of the Contest Period, by December 5, 2011.
received, no prize will be awarded. Determinations of judges are final and binding. substitution or cash equivalent for prizes is allowed, except at Sponsors sole discretion. such manufacturer(s), and any additional costs associated with its use, service, or maintenance. discretion, select an alternative potential winner. GENERAL CONDITIONS: All federal, state and local laws and regulations apply. abuses, threatens or harasses any other entrants, Google, or the Judges. to make screenshots, animations and Solution clips available for promotional purposes. the event a entrant qualifies for any applicable prize as well as to deliver the applicable prize(s). additional compensation, unless prohibited by law. typographical or other error in the printing, offering or announcement of any prize or winners. the entrant from the Contest. malfunctions which may limit an entrants ability to participate. reserves the right at its sole discretion to cancel, terminate, modify or suspend the Contest.